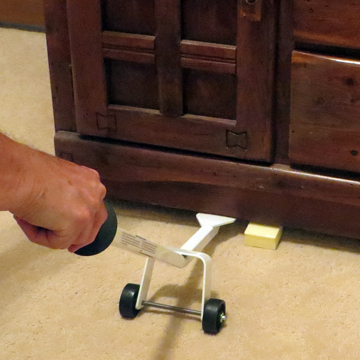 Lift Buddy™ to Lift Furniture and Upholstery When Cleaning Carpet - Save Your Back! 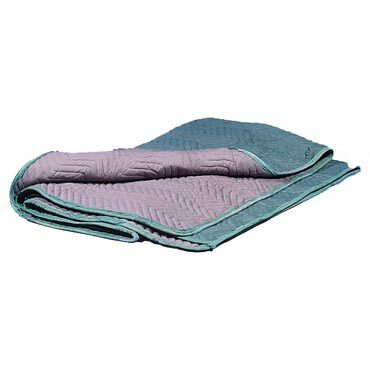 Save Your Back Lifting Upholstery - A Lift Buddy belongs in every carpet cleaning truck. Uses leverage to make lifting easy. 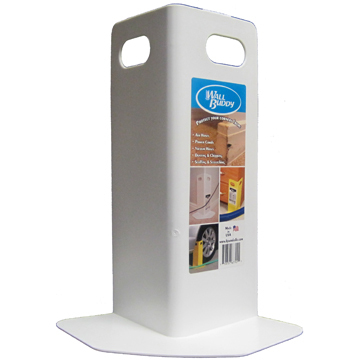 Designed for use by professionals such as professional cleaners who need to regularly lift or move furniture. The Lift Buddy is the ultimate back saver and solution in easy furniture lifting especially for professional carpet cleaners. Avoid back surgery and the chiropractor! The Lift Buddy is built to last and can lift those heavy objects for you - dining room tables, desks, office furniture, filing cabinets, beds, appliances, etc. Great for one-person carpet cleaning crews! The rubber handle gives you a firm, comfortable grip. 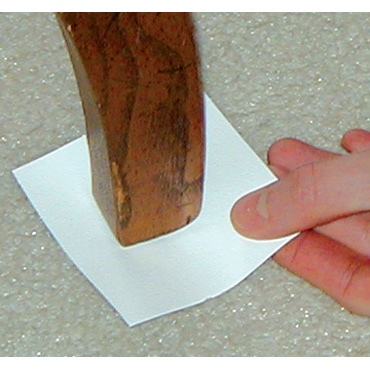 The Lift Buddy allows one carpet cleaning technician to lift a heavy piece of furniture with one hand, leaving the other hand free to place Bane-Glides™ Furniture Movers, EZ Moves, Foam Blocks or Furniture Protector Tabs under the legs. 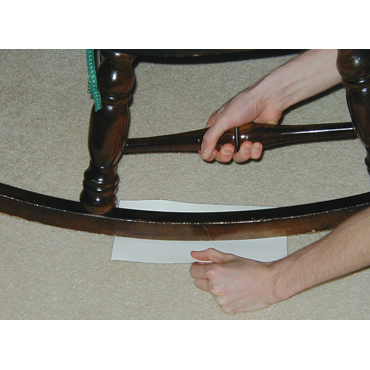 Remove all loose items from furniture to avoid breakage. 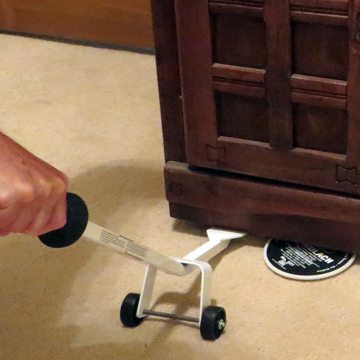 Only place the tip to the bend of the Lift Buddy under furniture so as not to tear the dust cover. Remember: Bend your knees, not your back. 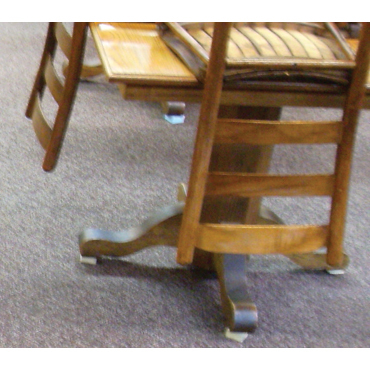 Do not exceed lifting furniture higher than 5 inches or the furniture may slip off the tip and become damaged. Hold handle securely and press straight down. Do not force the tip against furniture and cause damage. Do not attempt to move furniture while elevated. Please use extreme caution when using this device. Lifting furniture and other heavy objects can cause injury. Weight: About 2 1/3 pounds. Size: Measures approximately 24.75 inches by 6 inches. Minimum clearance: About 1/16 inches. Maximum weight to lift: 200 pounds. 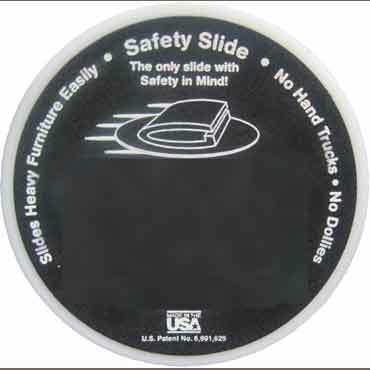 Construction: Made of heavy-duty painted steel in the USA.